Today Razer is launching a pair of gaming mice into their lineup. The Razer Lancehead Wireless Gaming Mouse, and the Razer Lancehead Tournament Edition are the two new models, and perhaps just as interesting is that they are also announcing a new version of their configuration software, dubbed Razer Synapse Pro, which is currently in beta. Both of the new mice feature an ambidextrous body, which should please those who prefer using the mouse with their left hand, and of course both mice support Razer's Chroma lighting. First up is the Lancehead Wireless Gaming Mouse. Wireless mice have come a long way, but they can still have issues in a group environment due to interference on the frequencies the radios operate at. This has been an ongoing issue since the dawn of time, and there are various methods to combat this. 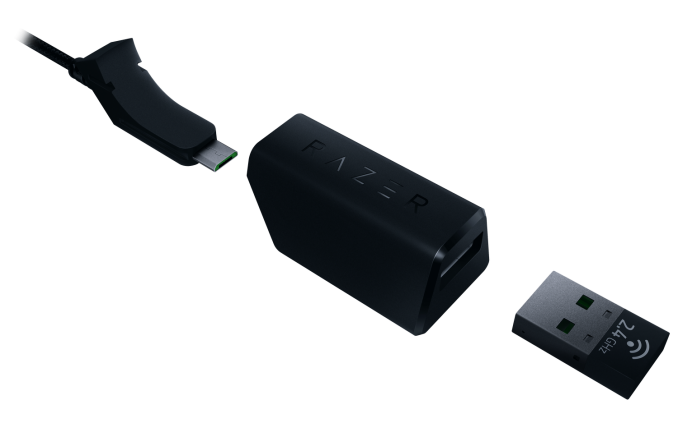 Razer is announcing a new technology in their repertoire to try to assist with these issues, and they are calling it Adaptive Frequency Technology (AFT). None of this is new science of course, since frequency hopping is par for the course, but Razer is advertising their AFT should help with latency by choosing the strongest interference-free channel when it starts, and only hopping when necessary. There’s nothing really unique about doing this, but with good error correction it should help. 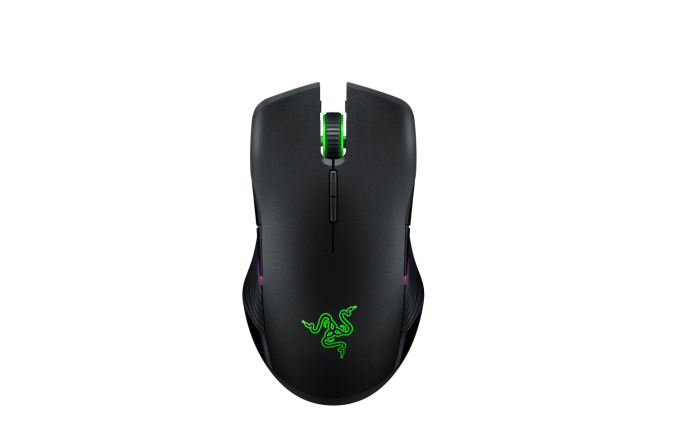 Razer is claiming that it outperforms every other wireless gaming mouse. Frankly it would be nice to see some of these devices move off of the extremely crowded 2.4 GHz frequency altogether, and with the relatively short distance from a mouse to a PC, it’s strange that they stick with the 2.4 GHz band. In addition to the wireless component, the Lancehead comes with a 16,000 DPI sensor with 210 inches-per-second tracking and it can handle up to 50 G of acceleration. It also features mechanical mouse switches that Razer co-developed with Omron, and Razer is claiming lower latency on the clicks, as well as up to 50 million clicks of durability. The second mouse is similar to the first, but ditches the wireless connection for a USB cable. The Razer Lancehead Tournament Edition also supports up to 450 inches-per-second of speed, and the same 16,000 DPI and 50 G acceleration as the wireless model. Razer is also announcing the new Razer Synapse Pro software, which will be released soon. The Lancehead owners will be the first to get a chance to use the new software. Synapse Pro supports both cloud and on-device storage for mouse settings, which is a welcome change from the existing software, which requires an online account to sync the mouse settings, and do most of the other configuration. The new Synapse Pro will allow a user to access their device profile on any computer without requiring an internet connection. Finally. 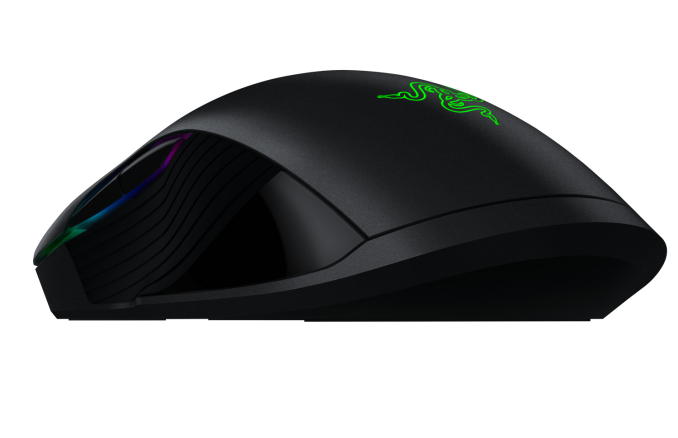 Razer will be offering the new mice for pre-order now, with shipments of the Tournament Edition starting now with worldwide availability in April/May, and the Lancehead Wireless Gaming Mouse will be available in the May/June timeframe. Pricing starts at $79.99 USD for the wired version, and $139.99 for the wireless model.